Organizing your classroom is essential! 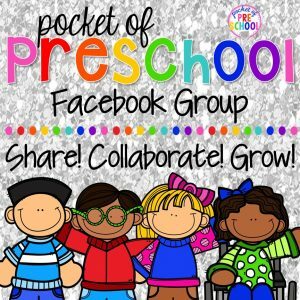 To help you get organized I have made a list of my favorite organization tools and toys for preschool and kindergarten. 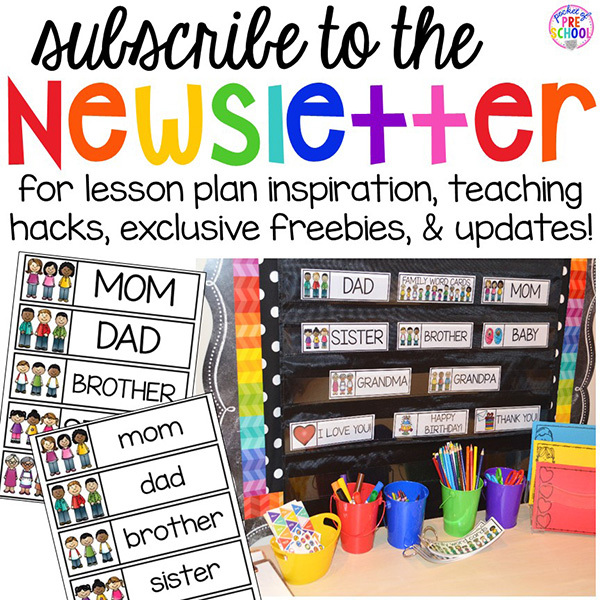 These items will help you organize all of your supplies, curriculum, and all of your other teaching goodies. Let’s face it, having an unorganized classroom can lead to chaos, and that’s the last thing we need in a classroom. Making a space for everything, and keeping things in their place will create a peaceful learning environment where your littles can thrive. These little guys are fantastic for organizing themed materials such as; cookie cutters, printable games, and sample art projects. Keep your manipulatives, mini erasers, and more in their place with these handy containers. They come in a variety of sizes making organization a breeze. And they’re clear so you can see what’s inside them easily. Supplies in the classroom can easily get overwhelming. By using these caddies you can keep things under control. They come in handy while organizing centers, supplies, and art projects. We can’t forget to organize circle time! A great way to keep your little learner’s attention while staying organized. Did I mention the pockets and cups are magnetic? There are so many crayons, markers, pens, pencils, and more that need to be organized in a classroom. These colorful buckets the perfect solution. There is also a Plastic Bucket version as well. Store a variety of manipulatives, game pieces, and other items with the help of these colorful baskets. Storage comes easy with these guys, especially because they are stackable. I use these to keep my books, journals, dry erase boards, and other small group supplies organized. These are thick plastic and are super sturdy too. Labeling your classroom supplies is simple with these Avery labels. I use these and the Small Address Labels to label everything from, the job board, cots, folders, and books. They’re also great to use to print out class lists. Check out my post on labels for even more organizational ideas. Use these plastic jars, or this set, to organize glitter, washi tape, stickers, markers, and more. I like these plastic jars because if I drop them, they won’t break and shatter. Keeping your art center organized is also important. Use this tray to keep all of that colored paper in place. I also keep a stack in my prep station to keep prjects I am prepping organized. I use these in my classroom to store toys and games. They come in very handy because all of my little learners are able to keep track of all the pieces and parts that come with toys and games. This plastic drawer set is perfect for craft supplies. Creating is a ton of fun, but keeping track of it all can become overwhelming. With this caddy, everything stays nice and neat. I keep these on hand to use as storage for clipboards, large building blocks, and stuffed animal reading buddies. You can also learn how to organize these crates with my post on how to make Crate Labels. I like to use these drawers for organizing my question of the day. The kids look forward to the activity and keeping my supplies organized makes it even more phone. Learn more on my blog post, Question of The Day. Keep your desk and supplies organized with this set of drawers. It comes with a variety of sized drawers making it easy to organize a diverse amount of items. You can’t forget to keep those tabletops organized. Bonus points because they are so colorful! These trays are lifesavers. I use them for a variety of projects including counting stews, art projects, STEM activities, play dough trays, and so much more. They really come in handy for those themed projects. By organizing printing and preparation supplies you can save yourself a lot of time. Take a look at my blog post, Printing Hacks, for more handy tips and tricks. In the meantime, here are some items that will keep you organized. These are very handy to keep your copy paper neat and organized. Keep this stacking tray near your printer to keep printables and other paper projects organized. In mine, you will find white printer paper, laminating pouches, and page protectors. Keep your printables organized with these rings. Put vocabulary cards, class books, games cards, and so much more on these rings. These folders can keep your printing projects organized through color coding. I know you want to see these organization tools and toys in action! 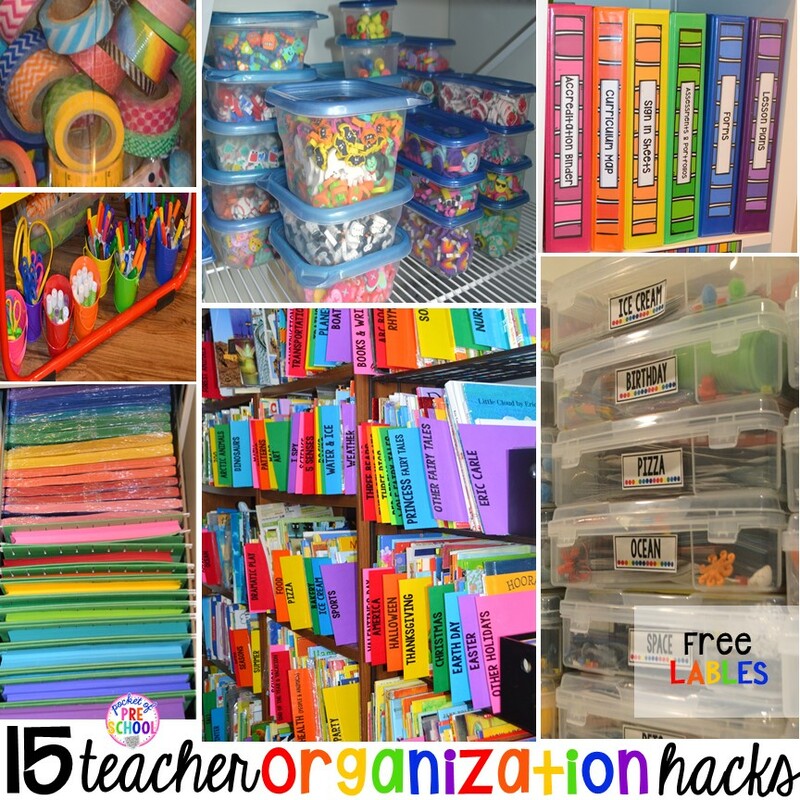 Check out my 15 Teacher Organization HACKS HERE and grab free theme labels and bookshelf dividers too! 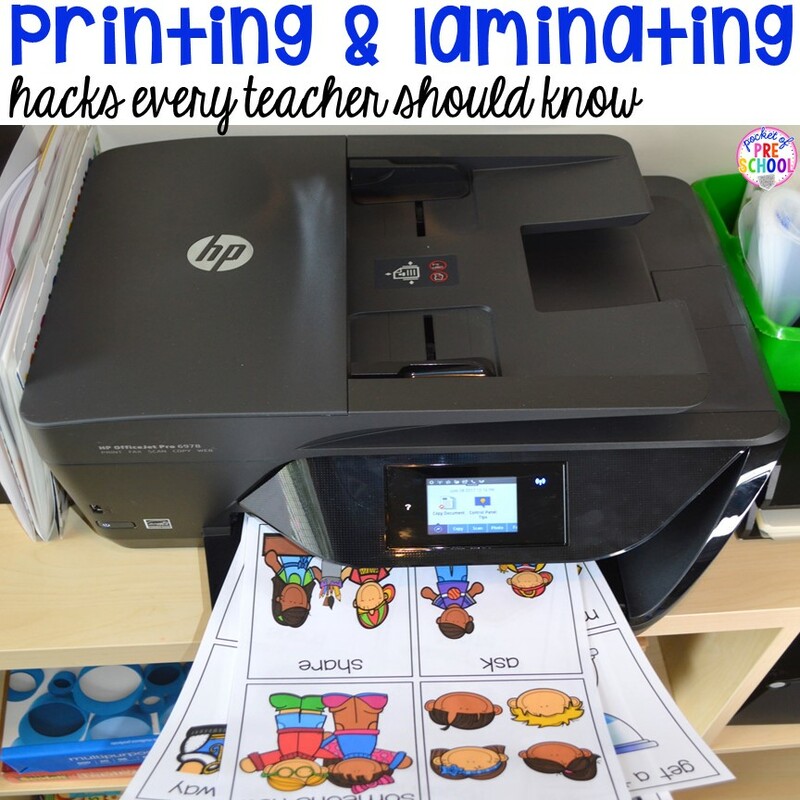 Or check out my Printing and Laminating HACKS HERE to make prepping easier (and faster too)! LOVE these organization tools and toys as much as I do? Pin this image!